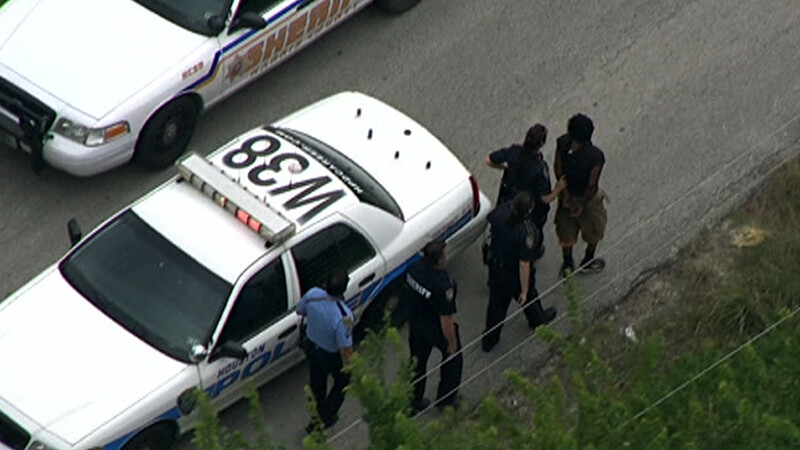 HOUSTON (KTRK) -- The Harris County Sheriff's Office says a pair of suspected carjackers led them on a chase from north Harris County into north Houston. The driver struck at least two vehicles before the chase came to a crashing end. Deputies with Harris County Sheriff's Office were pursuing two aggravated robbery suspects when the chase ended near Tidwell and Lavender. One suspect was quickly taken into custody, but the second suspect briefly evaded authorities. K9 units assisted with capturing him a few minutes later. Deputies say it all started just off the North Freeway near Imperial Valley. Both suspects were taken into custody. It's not yet known what charges they may face.